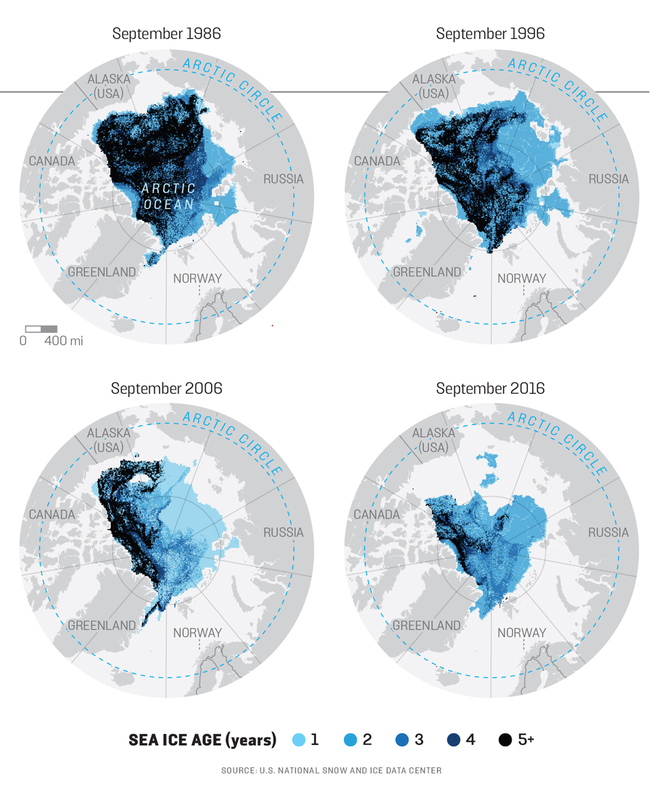 We often see maps showing the diminishing extent of sea ice in the Arctic. The issue has big consequences for global warming as well as geopolitical. Ice free areas in the summer mean the Arctic Circle is being ventured more and more by commercial and private entities (oil tankers, fishermen, maritime traders and even cruise ships). And governments are looking at the possibilities for future oil and gas exploitation. So it’s the dramatic decrease in the extent of the older ice what is alarming, much more than the overall extent which is decreasing but doesn’t change that much from one year to the next. 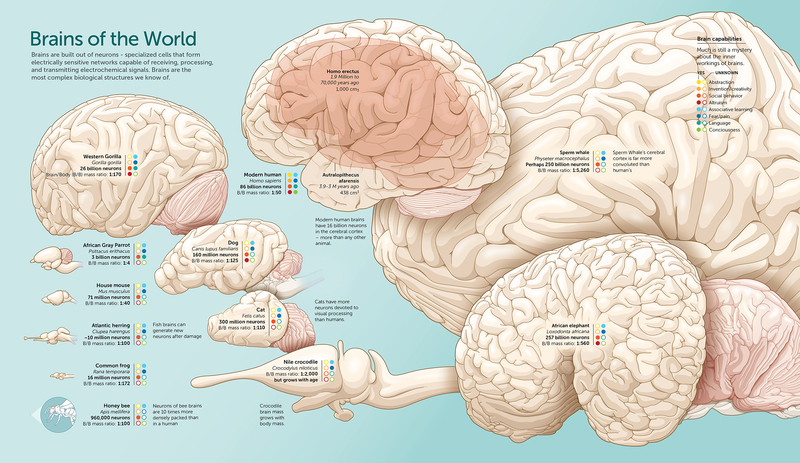 A series of simple and nifty maps unveils what is hidden below the surface. 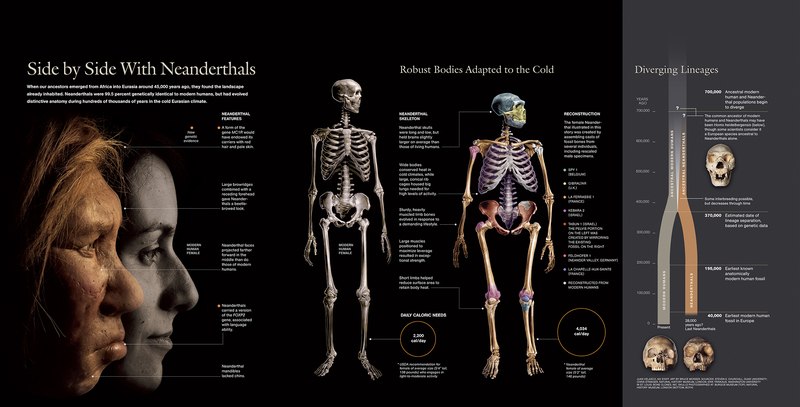 We just came across a really engaging graphics feature by Bloomberg.com. 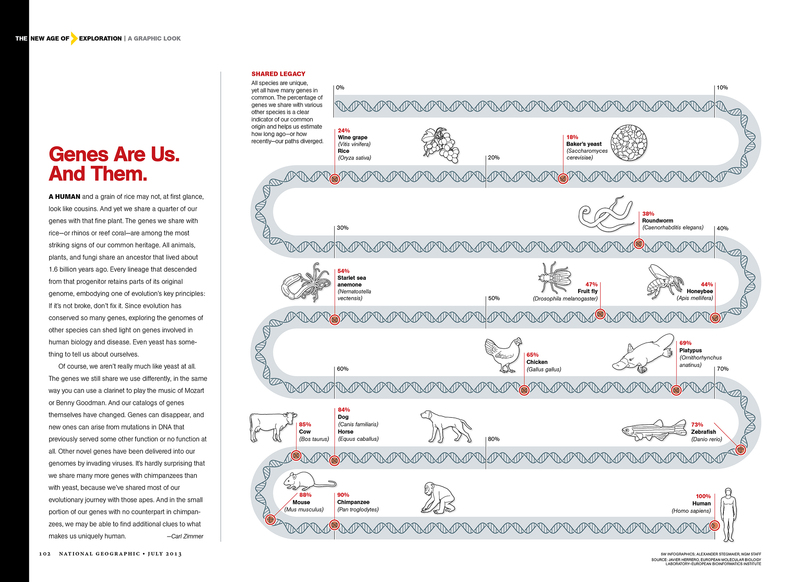 How America Uses Its Land, by Dave Merrill and Lauren Leatherby. 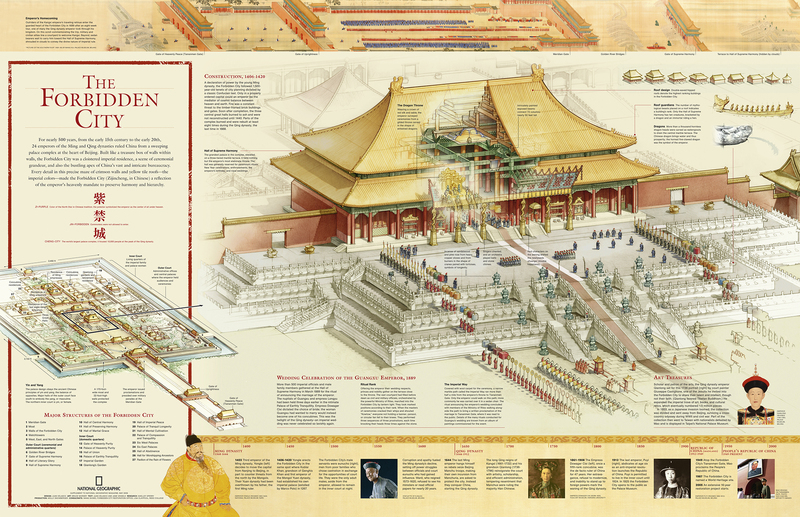 It’s well sourced and nicely designed. As the intro states, “The 48 contiguous states alone are a 1.9 billion-acre jigsaw puzzle of cities, farms, forests and pastures that Americans use to feed themselves, power their economy and extract value for business and pleasure.” There are quite a few surprises for the reader, such as the massive amount of land used as cow pasture/range (see map above). 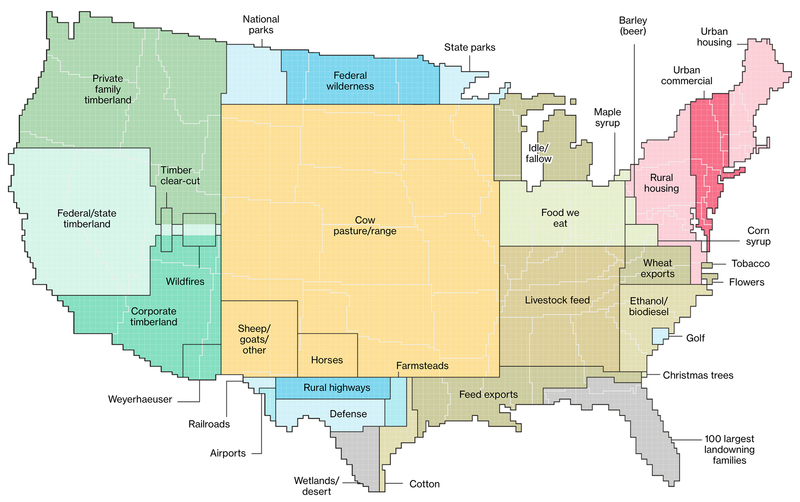 41 percent of U.S. land in the contiguous states is used as pasture or cropland used to produce feed. Forest and timberland take another large chuck of the space. 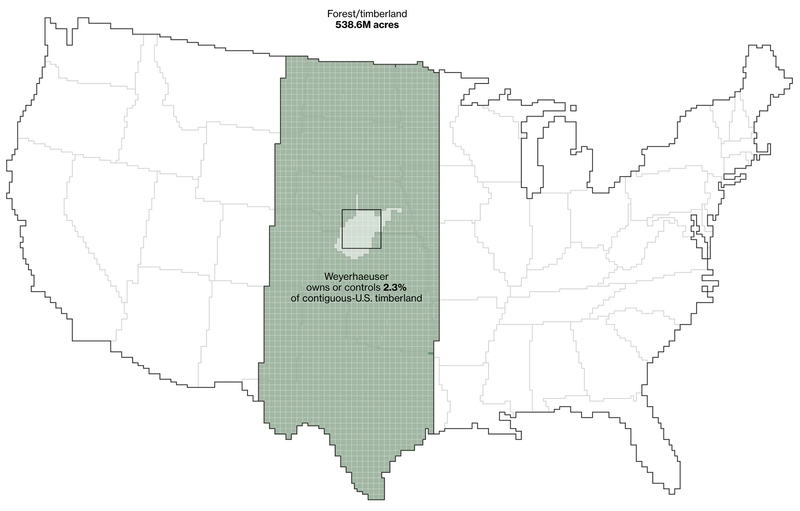 Did you know a company called Weyerhauser Co. owns or controls an area of timberland equivalent to the size of West Virginia? 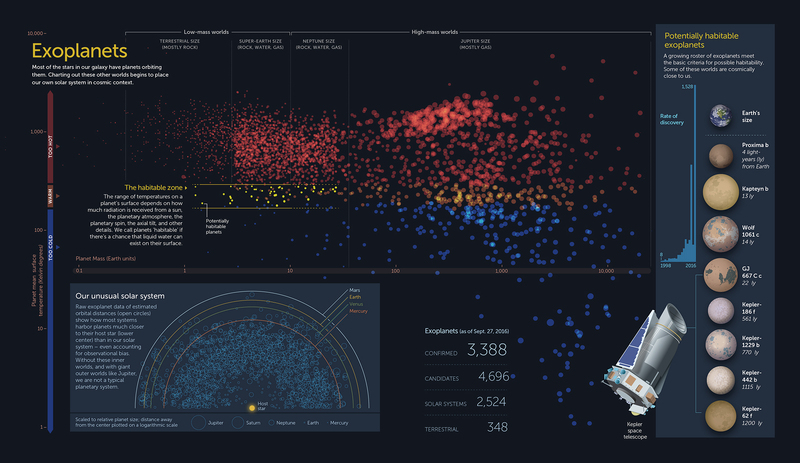 During the last few months we had the opportunity to experience once again the power of D3 while developing several graphics for Urban Institute, a think tank in Washington D.C. that do research on economics and social policy. One of the more interesting is this data-intensive electoral map that connects the recent election of Donald Trump to several social indicators of financial insecurity. It is truly remarkable how D3 allows you to work with massive amounts of data (about 50,000 in this case) and transform them into beautiful rich, smooth-moving graphics. We are looking forward to more D3 work. We love the power of cartograms to show thematic data maps because they overcome some of the problems of classic choropleth maps. And they can be beautiful. 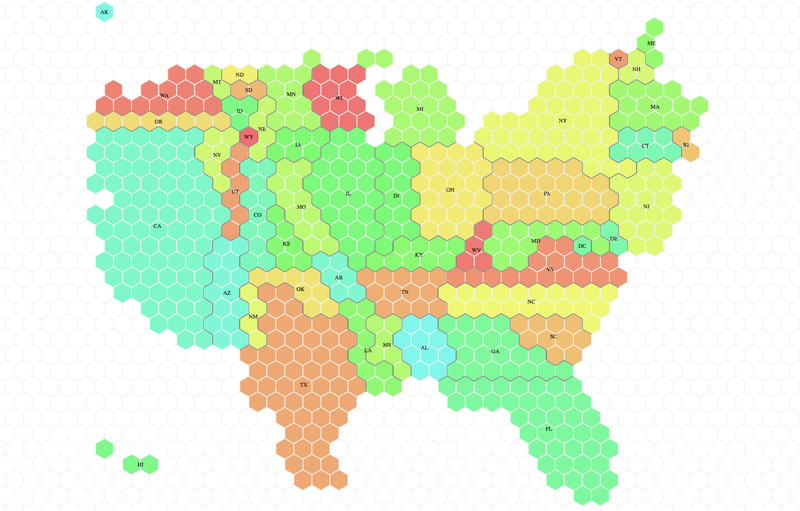 So it’s exciting to see a promising new tool to create nice cartogram hexmaps automatically. 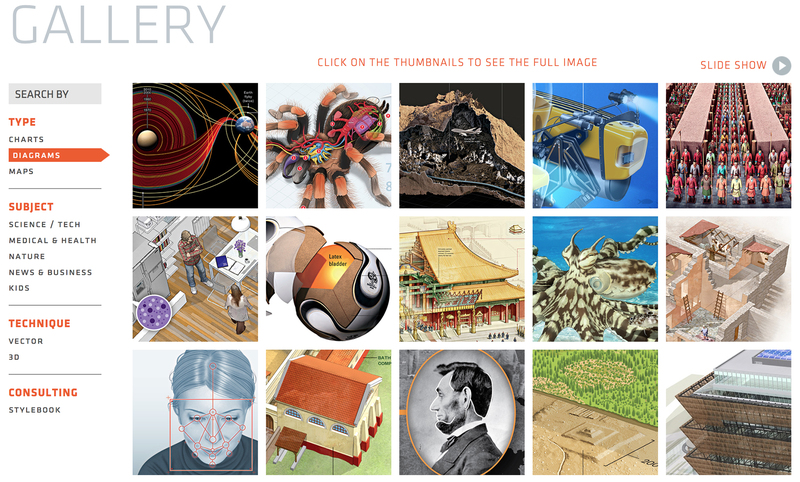 It’s called Tilegrams (for “tiled cartograms”) and it has been developed by Pitch Interactive in collaboration with Google News Labs. 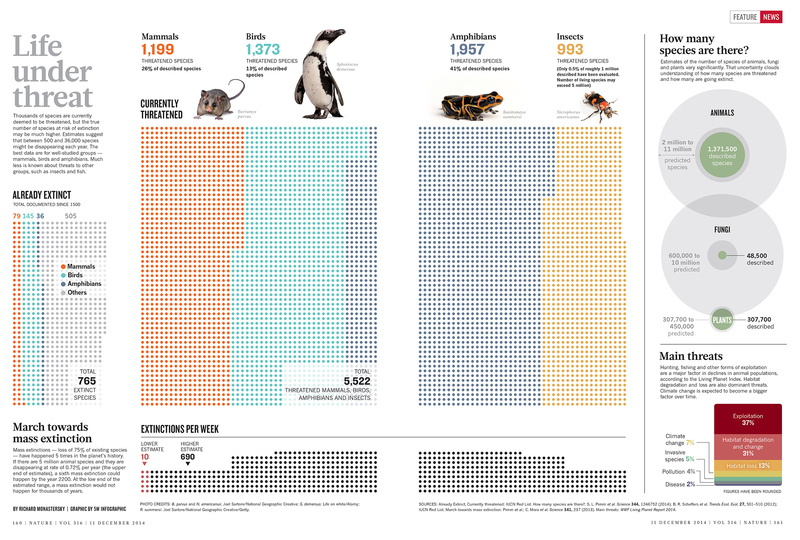 But let’s back up a little bit, since many people are not familiar with cartograms in the first place! 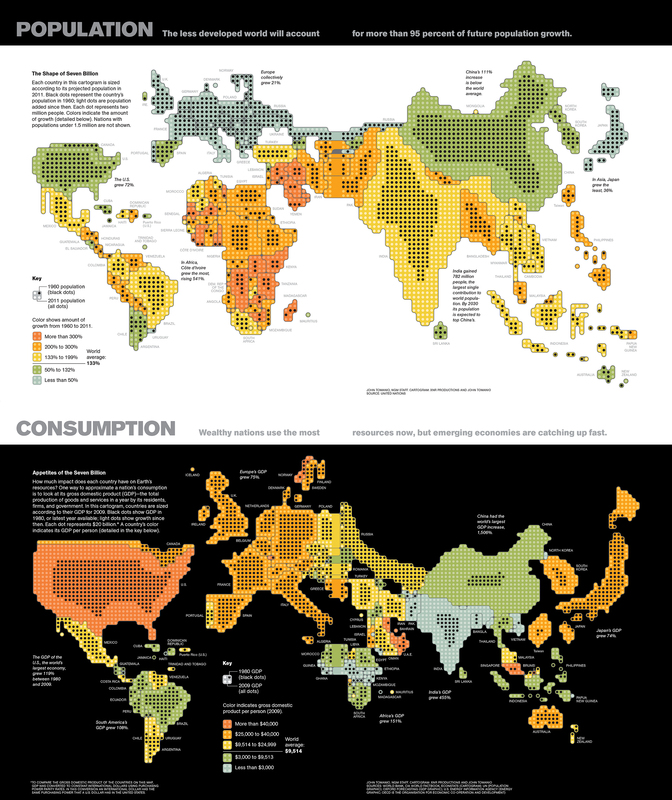 A cartogram is a map that actually functions as a chart by distorting the size of geographic areas (such as countries or states) in proportion to numerical values they represent. 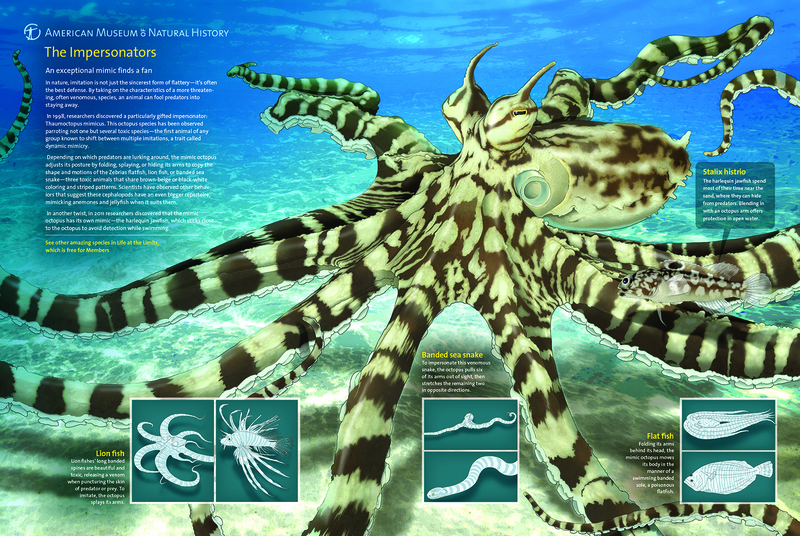 Here are two nice examples by John Tomanio, Director of Graphics at National Geographic. In the first map, each dot represents a specific number of people—2 million— living in a country. In the second map, each dot represents $20 billion in GDP for that country, as a proxy for consumption. The dramatic, yet entirely accurate data representation allows two different stories to emerge nicely as we see the relative weight of each country for that particular dataset. That’s the power of cartograms (the black circles here represent the same variables a few decades back, for a nice representation of growth over time). 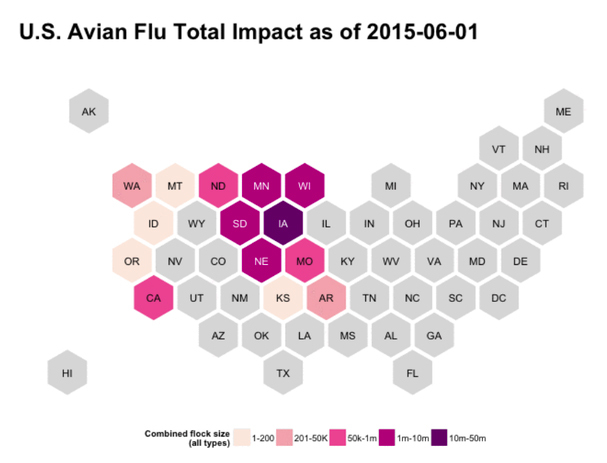 You may say “ok, these look a little weird, why not represent these data in a choropleth map, or in other words using different shades of color in a “normal” map?”. Like the example below. Choroplet maps are ubiquitous and, while they are not incorrect, they are seen by many as misleading. They overrepresent the importance or large areas, and diminish the importance of small ones, just by virtue of their size in the page. If I plot GDP for different countries, for example, a large country with a medium value (say Brazil) “lights up” much more prominently than a country with a higher value such as Singapore, simply because Singapore is tiny and hard to see in the map. See a nice video from Vox here explaining the problem with choropleth maps. 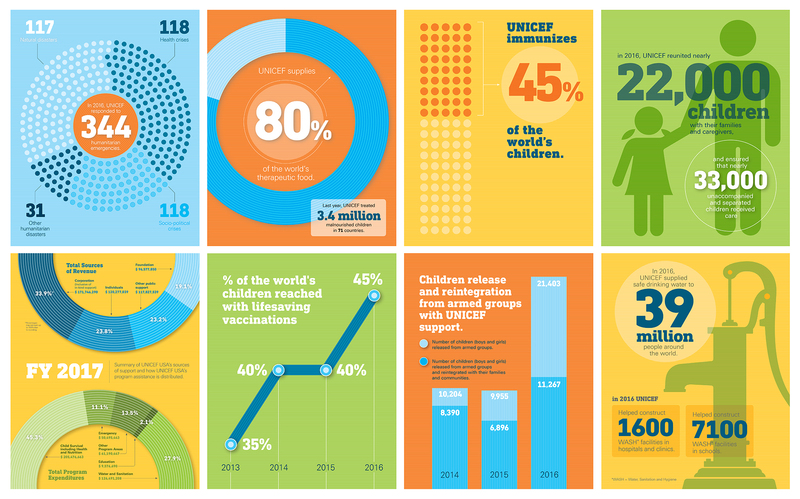 One solution is to give all entities equal area and then use the choropleth technique (different shades of color represent different values). That’s more fair. But we can only show a few classes or “buckets” of data ranges, rather than precise values in each area. So it may be interesting to resize each area according to the number we want to represent. Some cartograms can be fairly abstract. 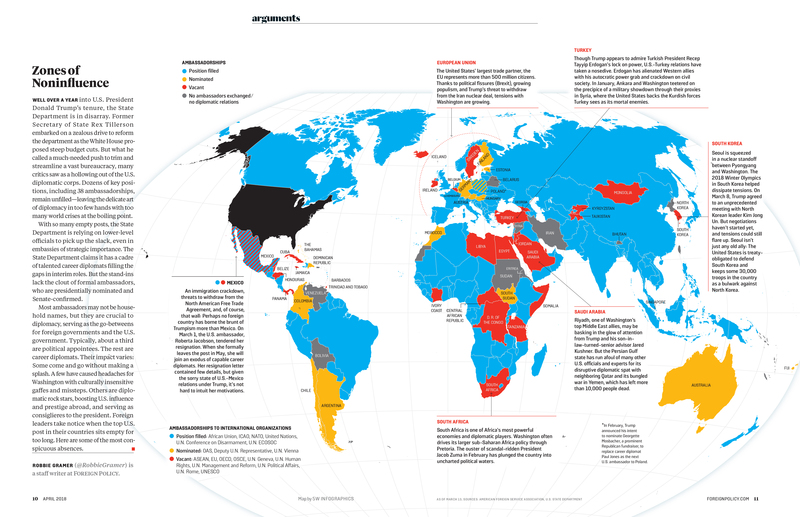 Instead of using the approximate shapes of countries or states, they use squares, circles or other geometric shapes to represent quantities in highly stylized maps. 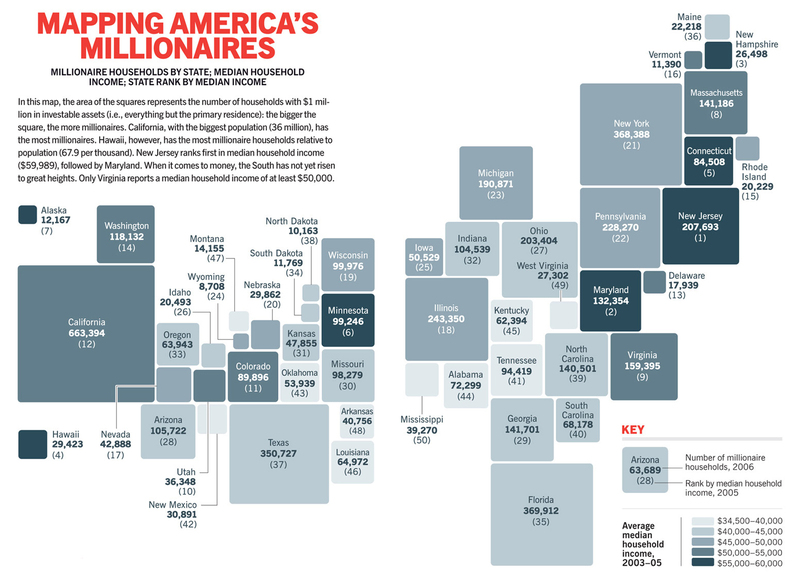 See this map we did for Fortune, with the number of millionaire households by state in the U.S. (color here represents a second variable, the median household income). 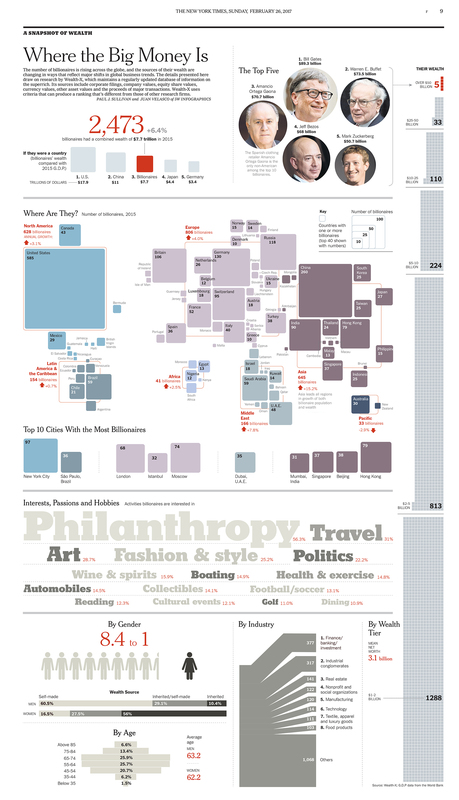 I love this type of cartogram. 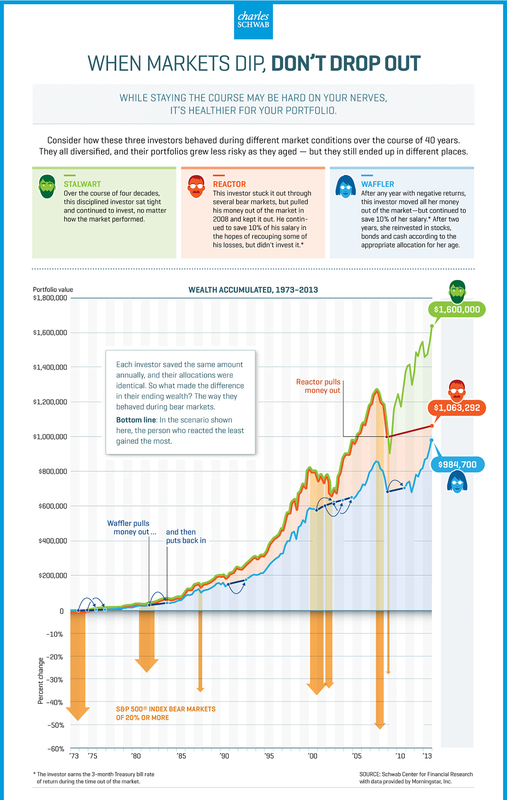 Here is another one by John Tomanio, a few years ago, for Fortune. 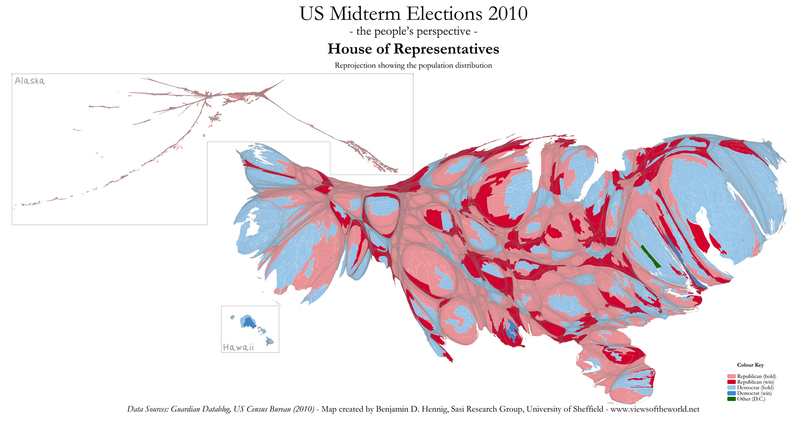 Cartograms can be really striking and powerful. Lately we have seen a comeback, and they were often used by different news organizations in the UK in the recent election cycles. A cartogram of the U.S. can be a nice way to represent that a small state in the East Coast may have many more electoral votes in the general election than a sparsely populated but large Midwest state. Here is the tilegram showing how much each state actually matters (how many electoral votes it holds) in the U.S. Much more telling than showing actual size in the context of election stories! Don’t be misled by how much blue or red you see in typical election maps. 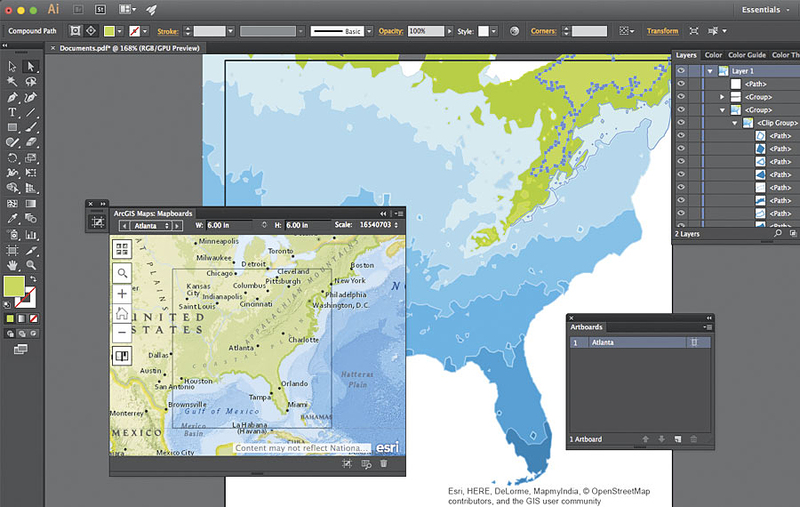 Complex cartograms have been done manually forever, for example in Adobe Illustrator, as in the case of the National Geographic maps. It’s a painstaking process, but human judgement is critical to make sure the composites of little shapes will still resemble the actual map of the area, which is entirely the point if we want to avoid confusion. You have to put them together as a jigsaw puzzle. Tilegrams is a really nice concept, still evolving. 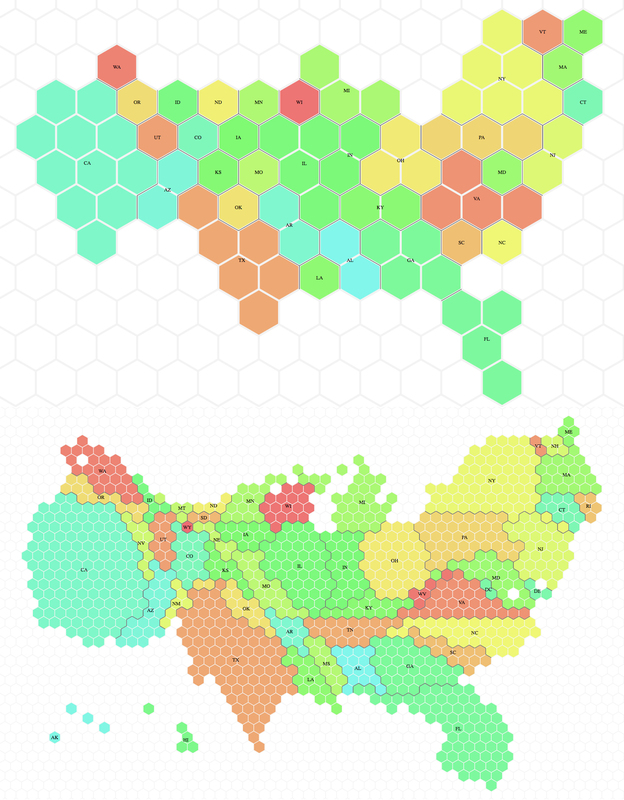 It plots U.S. maps using hexagon shapes, which are more versatile than squares to assemble them together in adjoining shapes with different configurations. You can use some preloaded maps (electoral votes, population, etc) or load your own data. Tilegrams allows you to show different levels of resolution. 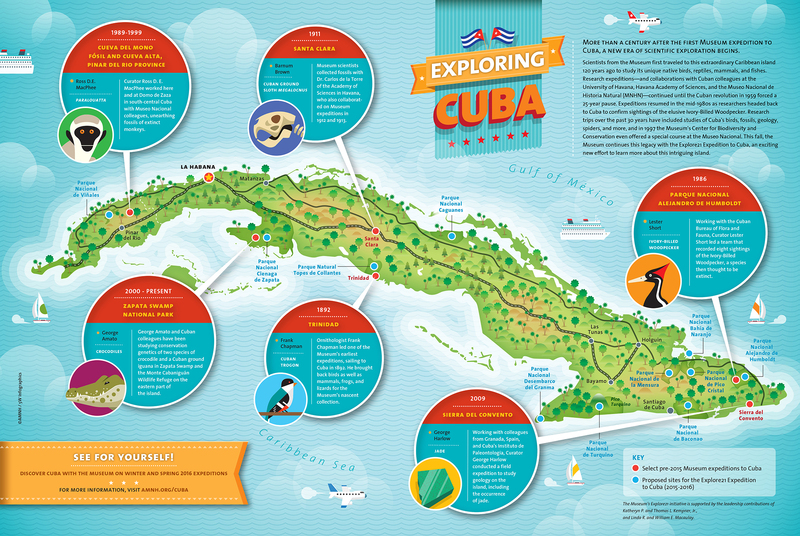 For example, the first map below shows U.S. population with 4 million people represented in each tile. The one below shows 300,000 people per tile. As you would expect, the higher resolution allows us to resemble the shape of the U.S. better (but remember states are meant to be oversized or undersized to represent the values, so the unusual proportions are to be expected. 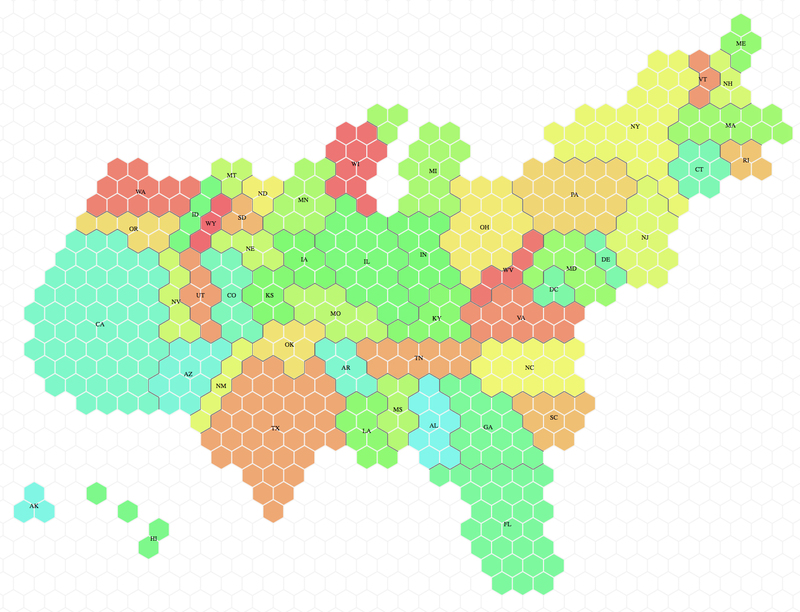 If the map starts looking a bit too weird you can drag hexagons to move them around. The tool tells the user about the statistical accuracy of each region’s surface area, as it tries to be both accurate and resemble the actual map in a difficult trade-off. 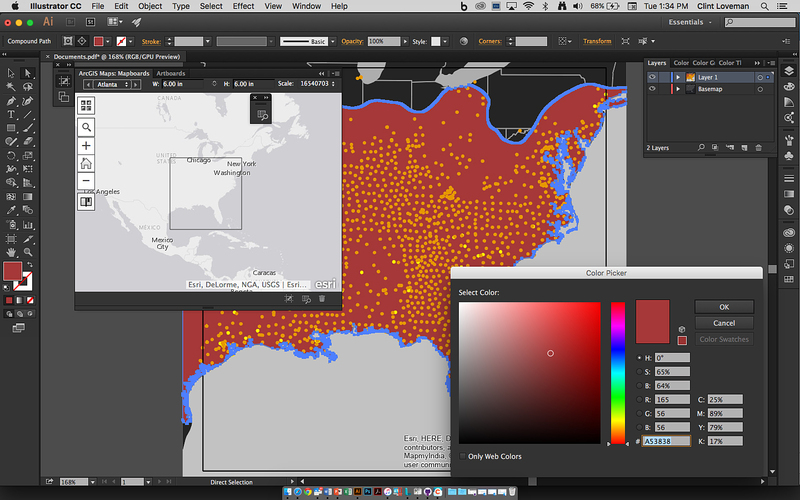 You can export the map as a TopoJSON or as a SVG file, a wonderful option since it’s fully editable in Illustrator! Pitch Interactive explains the tool here, and it continues to develop it. The company is now working on a U.S. county map. It sounds like a daunting task (there are over 3,000 counties in the U.S.). And hopefully one day we can show any country and their divisions in this simple way. I can’t wait to see what they come up with!